ESE is one of the leading EFL (English as Foreign Language) schools in Malta. It is a provider of quality teaching of English language courses and teacher training courses throughout the year to students of all ages from all over the world. 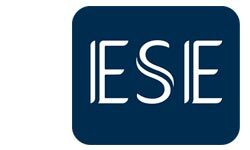 ESE is recognised for excellence and high standards. ESE is accredited by EAQUALS (The European Association for Quality Language Services), is a member of Quality English and IALC (International Association of Language Centres). It is licensed by the Ministry of Education of Malta and is a member of FELTOM (Federation of English Learning and Teaching Organisations –Malta). It is also an accredited Trinity College London CertTESOL course provider and TOEIC examination centre. All operations are certified by the Malta Standards Authority. ESE is also the affiliate partner of AC Milan running the AC Milan Junior Camp and English programme in Malta. In both 2012 and 2013 ESE was awarded the EducationStars Award for Best Language School in Malta. It was also awarded the 2013 Best English Language School by the UED, Association of Agents in Turkey. European School of English is a Member of the Claret Group. York Associates has been offering high quality, flexible training in the field of professional English language, Business Communication and leadership training and consulting services to its wide range of clients across the world for over 34 years. It is well-known in the international communication field through its publications of books and other multimedia materials, articles and conference presentations. York Associates is accredited by the British Council, is BAC Accredited, a member of IALC (International Association of Language Centres), a member of EnglishUK and a recognised provider of Institute of Leadership and Management. It is also a Cambridge Test Centre. York Associates was nominated by El Gazette as Centre of Excellence 2013-2014 for the teaching of English. 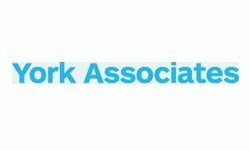 York Associates is a Member of the Claret Group. 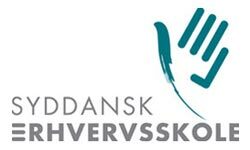 The SDE is the largest technical college in Denmark providing vocational education to 5,400 FTE students. Since 1992, SDE has coordinated and participated in a number of national and international projects related to Language Teaching Methods as well as the application as well as the application of Computer ( or Technology) Assisted Language Learning tools and CLIL ( Content and Language Integrated Learning). Past projects include the Best Practice Best Language Teaching Methods (BP –BLTM ), POOLS (Producing Open Online Learning Systems), POOLS 2, POOLS M, POOLS-T, and TOOLS.